Get an attractive look with runu’s boutique elegant traditional famous khesh and cotton saree. Crafted to the taste of today’s modern thinking women. Single piece. 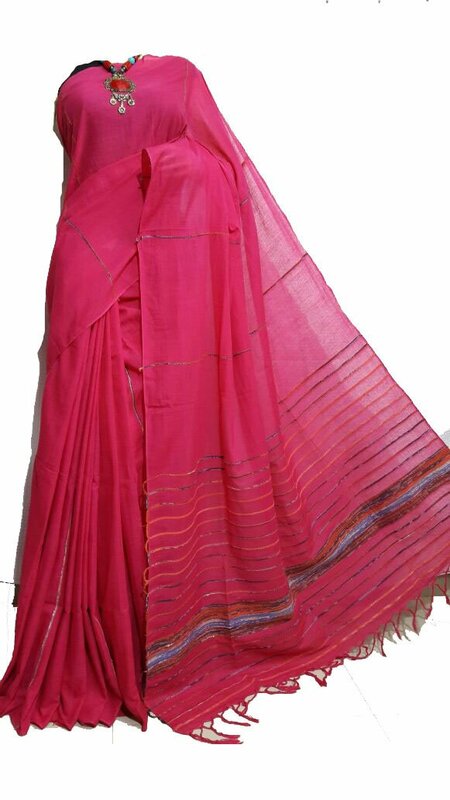 Exclusively self-designed saree with cotton fabrick and khesh pallu alongwith PINK khesh blouse piece. Great product in lowest range value. Length: free size. Turn up the style quotient at your work place or social functions and very comfortable to wear. This is a must have saree in the wardrobe of a modern stylish woman.